The authors note that Jesus jokes have become popular just since the 1970s. Did you ever hear the one about Jesus being Mexican? Well, he was bilingual; he was constantly harassed by the government; and his first name was Jesus. Or, perhaps Jesus was Irish? He loved a good story; he never kept a steady job; and his last request was for a drink. Or maybe it’s possible that Jesus was Californian? He never cut his hair; he was always walking around barefoot; and he started a new religion. You may not have heard these Jesus jokes, but you’ve heard others. They represent a comedic trend that has animated the United States since the 1970s. More and more comedy gimmicks hit on Jesus, his ethnicity and his relationship to politics. Laughing with (and at) the Lord is now fodder for major motion pictures, barroom comedy tours, graphic novels, t-shirts and bumper stickers. How is it that a figure sacred to so many Americans has become the punch line of so many jokes? And why is it acceptable to poke fun at Jesus when other sacred figures are deemed off limits or there is hell to pay for mocking them? The explanations are as numerous as the laughs. Immigration shifts from the 1960s changed the ethnic and religious faces of the country so no tradition dominates today. The Christian right made such a moral spectacle of itself that it practically begged to be mocked. The emergence of “spiritual, but not religious” sensibilities left many Americans willing to denounce or laugh about traditional faith. The public rise of agnosticism, atheism, and secularism led to aggressive mockery as a form of persuasion. If we pause to consider why we’re laughing, we find that the comic bits delve into some of our thorniest and unresolved problems. The jokes reveal much more about us than they do Jesus. They speak to how our society has changed, how it hasn’t, and what we’re obsessed with. The first public jokes about Jesus were heard in the 1970s. There had been religious jokes before this, but none about Jesus had become widely popular because organized Christianity held such authority. As the economic recession and problems of urban decay collided with civil rights exhaustion and new immigration, however, some Jesus jokes emerged. Archie Bunker on “All in the Family” was the white racist and misogynist you loved to hate and hated to love. On one occasion, his son-in-law challenged Bunker’s rampant anti-Semitism with the claim, "Jesus was Jewish." Archie shot back immediately: "Only on his mother's side." The “All in the Family” spin off “Good Times” featured a black family that lives in an inner-city housing project, probably Chicago's infamous Cabrini Green. On the show's second episode, the oldest son J. J. astounded everyone by painting Jesus as black. The younger son loves it, and says he learned all about Christ’s blackness from the local Nation of Islam. • In “Talladega Nights,” Ricky Bobby and his family debated which Jesus to pray to (“baby Jesus in golden fleece diapers,” “grown-up Jesus,” “ninja Jesus”). Their overall hope is that Jesus will help them continue their extravagant lifestyle. • “South Park” featured Jesus as a weak-kneed host of a local talk show who boxes the devil. • “Family Guy” had Jesus perform magic tricks that wowed his ancient audience. • “Saturday Night Live” let Jesus chastise Tim Tebow for using the Lord’s name in vain and ended the bit by declaring that the Mormons have it right. One unforgettable scene in the rather forgettable recent film “21 Jump Street” may explain why Jesus has become such a joke. The hilarity of the moment only makes sense in our time. Hill's character is unchurched and agnostic, but wants spiritual power to guide him. We can laugh at how agnosticism and being “spiritual, but not religious,” leave him uncertain of what to say, how to say it, and even how to end. We can also laugh at how ethnic factors color his approach. By wondering if Korean Jesus cares only about Korean problems, Hill pokes fun at the issue which was made a media spectacle in 2008, when the Rev. Jeremiah Wright could be heard preaching that “Jesus was a poor black man” as part of his support for Barack Obama. What good is a God who only cares for those who look like him? The Jesus jokes not only reveal how tangled our religious, racial, economic and political positions have become, but also how many outlets there are for the jokes. In these tense times, when presidential hopefuls point fingers at one another and families unfriend one another over political and cultural differences, laughing may be one way to talk about the problems without killing one another. The opinions expressed in this commentary are solely those of Edward J. Blum and Paul Harvey. Hey I really liked reading your weblog . The information were really usefull . Thank you so much! Zuluf Christian holy gifts & holy crafts from holy land stores, Zuluf holy land gift shop are crafted by Christian artisans who live and work in the holy land gifts for gold jewelry, small token,anointing oil etc. "The Christian right made such a moral spectacle of itself that it practically begged to be mocked." The historical Jesus would be telling these jokes too, and he would find words like "He that believeth on the Son hath everlasting life: and he that believeth not the Son shall not see life; but the wrath of God abideth on him." ridiculous and threats ;ole "Laugh all you want, come judgement day I can assure you that you won't be laughing!" unChristian. JESUS IS A KIND COMPASSIONATE GOD, WHY WOULD YOU MAKE FUN OF HIM, DIDN'T HE SUFFER ENOUGH FO'R YOUR SINS. HOW COULD YOU PEOPLE BE SO CRUEL TO JESUS, AND LAUGH AT HIM, WHEN ALL HE DID WAS SHOW COMPASSION AND LOVE FOR ALL OF YOU. I'D LOVE TO SEE YOUR FACIAL EXPRESSION ON JUDGEMENT DAY WHEN THE RAPTURE TAKES PLACE, I'M SURE YOU ALL WON'T BE LAUGHING AND MAKING FUN OF JESUS THEN. I'D HATE TO BE IN YOUR SHOES THEN. GUESS WHAT, YOU STILL HAVE TIME TO REPENT AND TELL JESUS YOUR SORRY FOR ALL THE JOKES THAT YOU MADE UP ABOUT HIM. 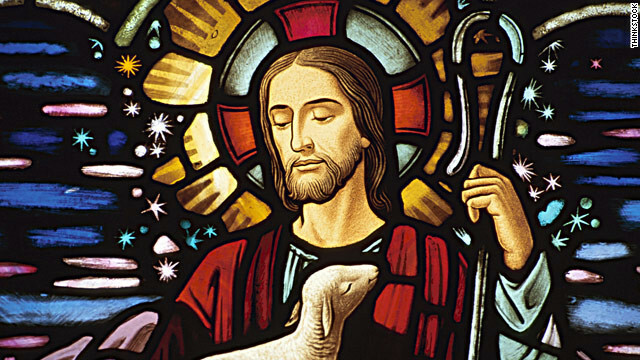 JESUS IS A COMPASSIONATE GOD AND IS WILLING TO FORGIVE ALL OF YOU THAT MADE FUN OF HIM. DO YOU THINK THAT CARRYING A HEAVY CROSS WITH ALL OF YOUR SINS ATTACHED TO IT WAS EASY, WAS IT A LOAD OF LAUGHS? DO YOU THINK ALL THE PAIN OF HAVING NAILS DRIVEN INTO HIS HANDS AND FEET WAS FUNNY? DO YOU THINK A CROWN OF THORNS DUG INTO HIS FLESH ON HIS HEAD WAS FUNNY? DO YOU THINK A SWORD DRIVEN INTO HIS SIDE WAS FUNNY? HOW COULD YOU PEOPLE BE SO INSENSITIVE AND SO CRUEL? REMEMBER JUDGEMENT DAY IS COMING SOON. REPENT!!!!! Luke, turn off the all caps key and google Pascal's Wager, stupid. The idea that a Jewish zombie, who was his own father, can grant you eternal life if you telepathically accept him as your savior and symbolically eat his flesh, allowing you to be forgiven for the inherent evil that is in all of us because a rib-woman ate an apple at the behest of a talking snake doesn't make any sense. cleareye1, your simple uneducated mind is fascinating and funny all at the same time. i love the arrogance of atheism. What pill do you take to know all the secrets of the Universe, why don't atheist share it with us ignorant believers? SHARE!!! Selfish Atheist!! Yea it will be funny at the judgement time when you are standing in front of him and he wont's to here your jokes the laugh will be on you then even the Jew's didn't except the miracle put forth in front of there eye's and you as humans will not on his return of his kingdom so just keep watching the devastation's and lose of lives for people don't know his teaching's and the wrath he can pit out so i guess to each his own I put my faith in him and his teaching's for my on soul people say why would he allow this It is simple he is a jealous GOD and say's serve no other GOD'S or IDOLS SO WHY IS THERE DEVASTATION AND DESTRUCTION SO MANY ARE LOST AND FOOLISH FOR THE SAKE OF MAN AND HIS OWN CORRUPTION OF HUMAN LIVE UNDER FLESH TEACHING'S AND TEACHING'S OF WOLFS IN SHEEP CLOTHING GOD BLESS ME AND ALL THE LOST OF THIS CRUEL WORLD IT'S A NARROW PATH TO THE KINGDOM OF GOD AND ABROAD PATH FOR THE SATAN GOD AND HIS KINGDOM ! Pascal's Wager. And stop changing your name. Astute observation without a bias...finally a column everybody can read without getting infuriated. Laugh all you want, come judgement day I can assure you that you won't be laughing ! Wow, somehow I'm not feeling the love here. simmy: Pascal's Wager. Google it and learn. orienac, that's some vicious god you've made there. You can keep it. Kenny, please reference your source for the 30% comment, please.